The New Jersey technical death metal outfit Cognitive recently signed to Torture Music Records for the release of their upcoming full-length album, scheduled to hit stores in the latter half of 2013. Formed in 2011, Cognitive are, despite their young history as a band, already a household name in the underground death metal scene. Having played in 11 states and shared stages with the likes of Macabre, Cattle Decapitation, Waking The Cadaver and Internal Bleeding, as well as self-released their debut EP, The Horrid Swarm, in July 2012, the band shows no signs of slowing down as of winter 2012. Chaos Inception, the Alabama based death metal band, has just released its second album The Abrogation via Lavadome Productions. The album was recorded in Stargate Studios during Fall and Winter, 2011, and mastered in Mana Studios in January, 2012. The album artwork was drawn by Italian painter Paolo Girardi. The band will be playing at the Danish death metal festival Sick Fest in June. Condemned returns to Europe on the "Realms of Europe tour 2012" from June 22nd to July 7th to support their sophomore release Realms of the Ungodly. The tour will be hitting Sick Fest, Houten Deathfest and Extremefest along with other headlining shows. 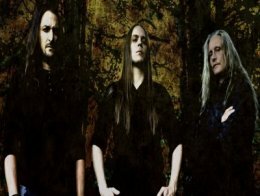 The Danish death metal band Dawn Of Demise has inked a multi album contract with Unique Leader Records. The bands third full-length Rejoice in Vengeance is set to be released June 26th. The San Francisco Bay Area located band has inked a multi album contract with Unique Leader Records. The debut Liberation Through Hearing is set to be released Summer 2012.